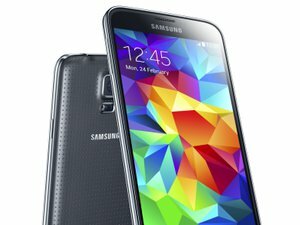 Despite mixed reviews from critics, Samsung’s Galaxy S5 smartphone is proving to be another hit for the company, with 11 million of the phones sold in the first month of launch. The sales figure, disclosed Thursday by a company spokesman, suggests the S5 is performing slightly better than its previous model. Last year, the Galaxy S4 sold 10 million units in 27 days after it went on sale. The Galaxy S series phones have been Samsung’s flagship line, and are built with some of the latest technologies. In the case of the S5, the Android phone has a fingerprint scanner along with a heart rate monitor, in addition to a HD screen and cutting-edge processor. Not all the critics have been happy with the device. In particular, reviewers have been disappointed with the phone’s plastic casing that they said gives the handset a cheap feel. Others have said the fingerprint scanner and heart rate monitor don’t always function properly. In a sign that Samsung maybe listening to the negative feedback, earlier this month the company named a new head for its mobile products design team. Vice president Min-hyouk Lee was promoted to the position, to allow the previous head, Dong-Hoon Chang, to focus on longer-term design of the company’s products. Samsung said last month it expects the S5 to sell well, and predicted the phone would sell over 10 million units in its first month. Lately, the company has been posting weaker earnings, as competition in the smartphone market continues to stiffen. But Samsung expects the S5 to give it a sales boost in this year’s second quarter.